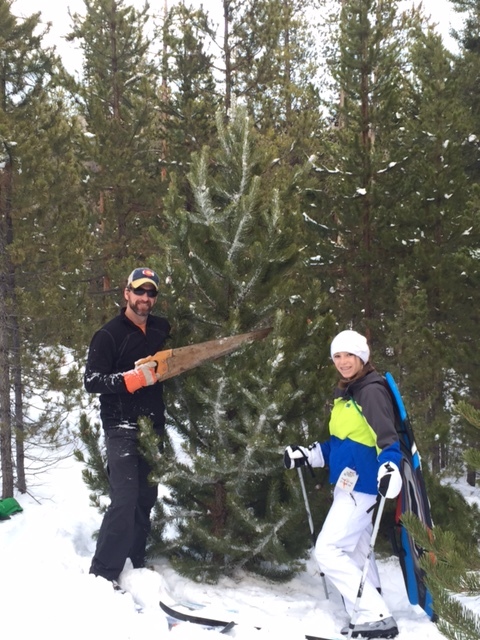 One of our favorite things to do during the Christmas season is find our Christmas tree. We typically avoid the big box stores, or even Christmas tree lots to get our tree. Instead we love to cut our own tree down. In the Denver area, there are several cutting areas that the Forest Service will open up to allow folks to cut down Christmas trees. 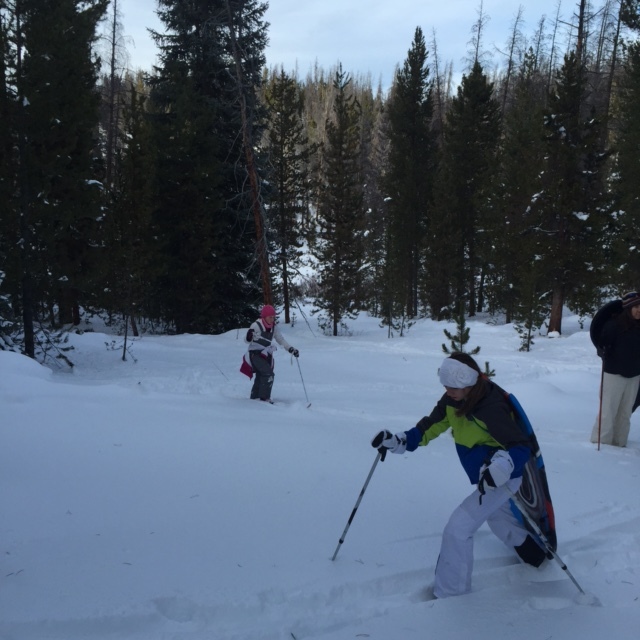 This is a win for the Forest Service because it allows them to thin out the forest a bit, and its a win for families because it is innexpensive and a great experience. Usually it is $10 for a tree permit, and you can cut a total of 4 trees if you want to. 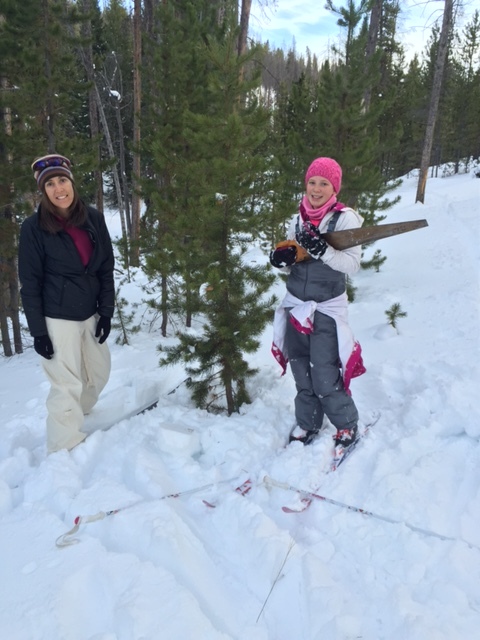 We headed to Winter Park and went to one of the cutting areas in the Arapahoe National Forest that was designated for tree cutting. Our particular area was called Meadow Creek. 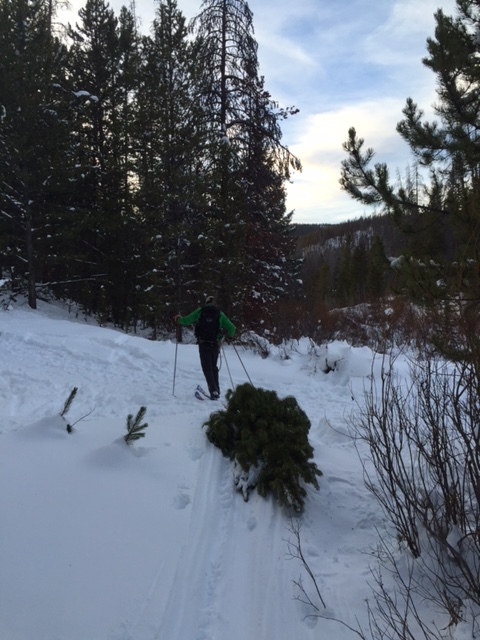 Other families were there, and they simply hiked back into the forest and found their tree, and hauled it out. We wanted to go a bit further into the forest, so we put on our cross country skiis and headed into the forest with sleds. 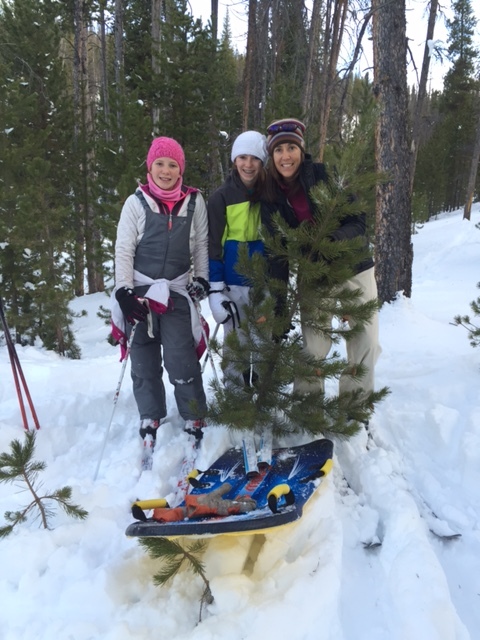 Once back in the forest a ways, we cut two trees, put them on sleds and skied them out. It was a wonderful experience for our girls, and I would highly recommend it! For more information on cutting areas, click on this link (Christmas tree cutting).